What was going on at OPS? A woman in diving gear, a man in an astronaut suit, another person dressed as a chemist – and all in an elevator! These were our partner sessions, an extremely successful form of a company‘s presentation performed in an interview style. Exceptionally original, really funny and entertaining. But in between the “advertising blocks”, the 7th Online Print Symposium was a tough one. In his keynote speech at the Online Print Symposium, Cimpress CEO, Robert Keane, made it clear that although prices for printed materials have been falling for years, to the delight of customers, competition is increasing for online printers and the costs for paper and customer acquisition on the Internet are rising simultaneously. That was a statement made once before. Immediately afterwards, I challenged the lack of quality and service among online printers, and at the end of the first day of the event, a 20-year-old YouTuber spoke to the audience about printing his own merchandise. The sense of crisis at the Online Print Symposium, traditionally regarded as the navel-gazing of online print success? No, quite the opposite. It was simply cleverly arranged. Because OPS (according to the testimony of the “repeat offenders”, who once again came to Munich in droves this year) can only be judged once the final lecture has been given. Only then does the cycle come full circle, or to give another example: every lecture is a mosaic piece – and only is the image complete when the last piece is placed. 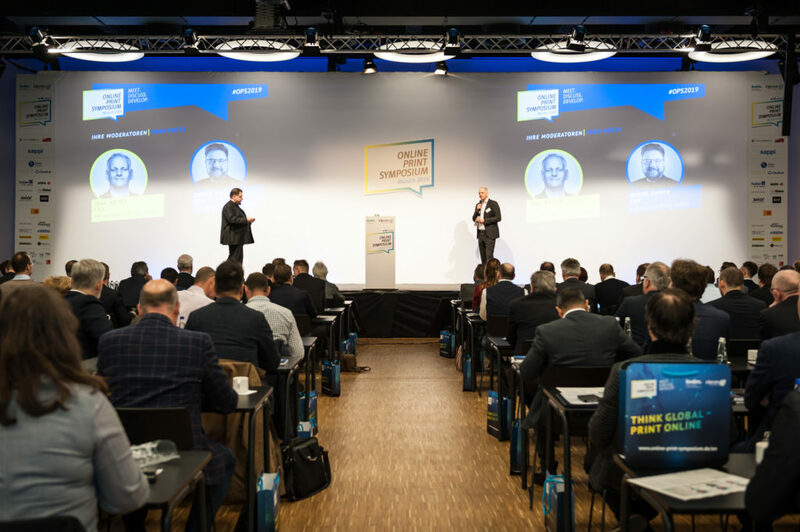 This year’s Online Print Symposium under the motto “Think Global – Print Online” was once again a comprehensive event for the 290 participants. It was versatile, informative and provided a great deal of enlightening knowledge, all of which was deepened through personal discussions and networking. What we in Germany call Industry 4.0 seemed to dominate everything. Robert Keane didn’t bemoan the competitive conditions in themselves, but rather put them at the beginning of his presentation in order to illustrate how important it will become for Onlineprint, in a phase of further and ongoing automation, to include and implement topics such as digital transformation and technologies such as big data, robotics and artificial intelligence in its strategic considerations and plans. As the founder of Cimpress, Keane has known the industry since 1995, pioneered the online print market, and is determined to continue to do so in the future. With this in mind, Keane explained the long-term strategy of customer-specific mass production, which makes it possible to produce small or individual orders with nearly the same efficiency as mass production. This, however, requires new and intelligent technologies. Robert Keane demonstrated this with a logo, showing that the customer expects that it will look exactly the same in a printed magazine as it does on a ballpoint pen, a polo shirt or in an embroidered version on a bag. At the moment, far too much manual work (artwork) is still required. So, there is (for example) still enormous potential for new and automated technologies and processes in prepress. This also applies to other areas, since process optimization is unavoidable, especially in the context of the increasingly tough times of online printing. “The entire web-to-print industry is facing a slowdown in growth and we have entered a phase of very tough competition that will separate the long-term winners from everyone else,” warned Robert Keane. Is it a gloomy outlook then? No, not necessarily. 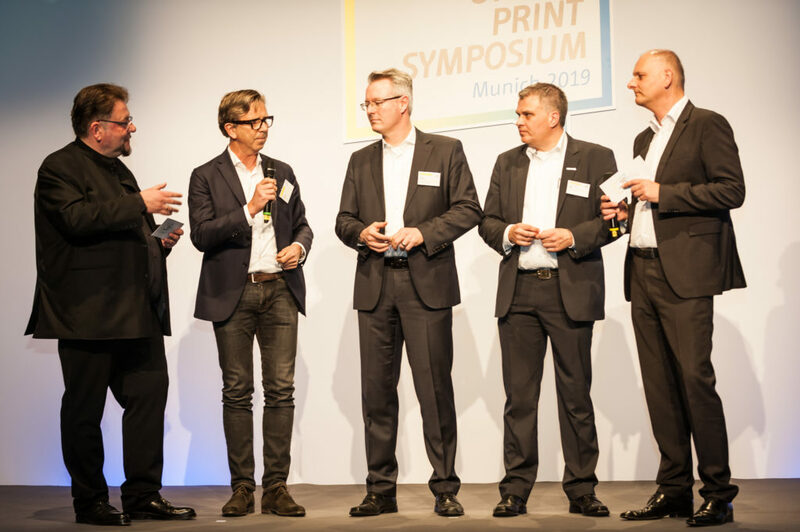 The core statement of my comments on the trends and developments in Onlineprint was “Print is a real value for our society… if you do it right,”. But unfortunately, the idea of “Good Enough Quality” has begun to creep in. Of course, there is printing as a commodity with a short useful life, but there are also printed products with a high value and an equally high regard (Esteem). Print is the only manifestation of knowledge in the digital age. Anyone who now believes that it follows philosophical considerations of what is printed is mistaken. This was followed by clear facts that make it evident how important print is in companies around the globe: the global print market is worth 2,695 billion dollars (almost 2.7 trillion) – this is more than twice as big as the pharmaceutical market. The graphic communications market alone is $700 billion, the packaging market $400 billion and the label market is $114 billion. In addition, there is functional printing and the entire industrial environment with print products worth almost $1,000 billion. Is that nothing? And aren’t there other attractive opportunities for online printing in this environment? There are indeed opportunities that exist – and the market certainly rewards them. The open shops in the B2C sector achieved an increase of 8.3% to €3.25 billion in 2018 and were thus more successful than previously anticipated. Out of this cake, the top 5 online printers cut off a slice of € 1.54 billion. These have grown through acquisitions, as well as through an expansion of their offerings. We have found that consumers no longer focus solely on price but also the quality of their products, which indicates that difficult times have dawned for pure “discounters”. Business-to-business (closed shops) grew once again in 2018 by 2.2% to €4.60 billion. I expect this market to grow again by 2.2% in the current year. 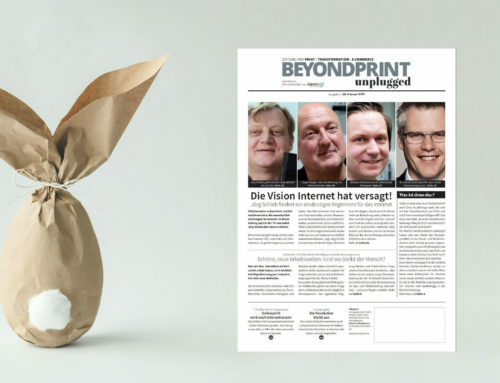 Together with the market growth of 4.6% of Open Shops, Onlineprint could achieve a turnover of € 8.1 billion in Germany, Austria and Switzerland in 2019. This means that Onlineprint in the D/A/CH region accounts for a good third of industry sales and is the largest online print market in any language region worldwide. Nevertheless, the question is whether the times of double-digit growth rates are over? Perhaps so, as the market seems to be redistributing, with the big online printers losing business customers to the smaller providers. But even if the market doesn’t grow as fast and as strongly as before, growth is still there, and online printing is one of the most successful business models in the printing industry worldwide. The quality of the products leaves something to be desired with almost all suppliers. The service, especially the handling of complaints, is also unsatisfactory. And the functionality in e-commerce is not sufficient. It has been shown through experience that price and speed are often contrasted by characteristics such as reliability, quality and service, although currently the pendulum in customer preference is moving away from speed and competitive pricing. But despite the criticism – or let’s call it suggestions and tips for the online print day-to-day business – which must be worked on, it can be said that: “Print is one of the most powerful channels in the communication canon of the digital world. And Onlineprint is a part of that world.” Provided that companies do their homework in e-commerce, markets, service and production. Other challenges in print are platforms for mass customization and artificial intelligence. First approaches have already become available – recognizable by software for the automatic creation of collective forms including dynamic scheduling and production planning as well as autonomous printing. However, digital transformation, new ways to reach customers, new technologies and production processes, especially in the integration of online and print, present companies with new challenges in online printing. Those who are “willing to transform” have ample opportunity to make use of niches, to distinguish themselves as specialists, to address specific target groups precisely and to serve local markets with better services. My remarks and those of Robert Keane at the beginning of the symposium have evidently caused a need for a proper discussion. 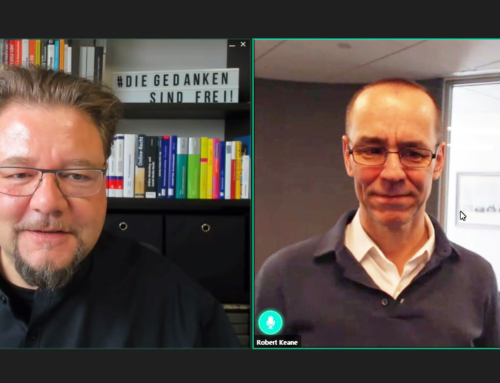 That’s why we, my co-moderator Jens Meyer, CEO of printXmedia Süd GmbH and co-organizer, and myself, organized a short discussion. Further development is also the priority for the next few years. “We must devote the greatest attention to customer satisfaction. Of course, this means efficiency in all areas – simply because of the prices”, Dr. Fries explained. 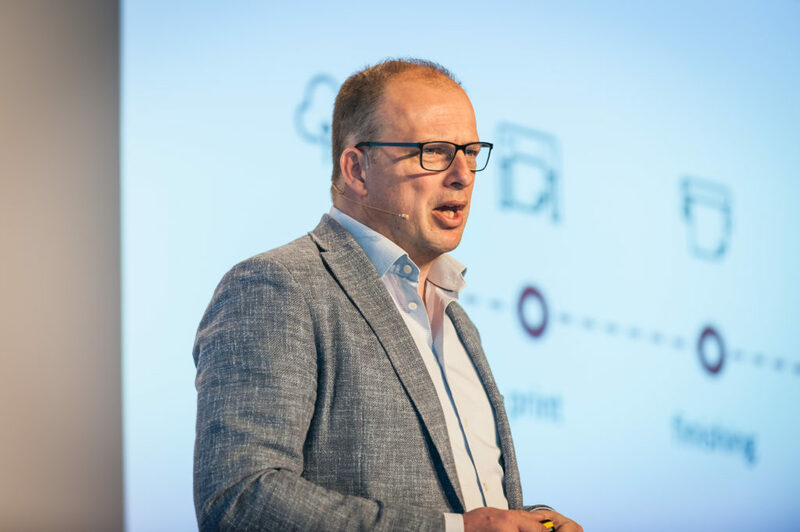 “We all have to satisfy existing and new customers, we have to prove that Onlineprint works 24/7 – and more professionally than Amazon,” Kees Arends reminded the online print community. Raksul, a Japanese company, has created a B2B platform that links supply directly to demand. This sets Raksul apart from other Internet companies, as Yasukane Matsumoto, CEO, and Kozo Fukushima, COO at Raksul, demonstrated in their presentation. In concrete terms, Matsumoto’s aim is to position the B2B print platform, founded in 2013, with its approximately 70 network printers, in such a way that flyers etc. are not only printed, but the advertising is also distributed directly to the consumers. Printing plus advertising plus logistics is the goal to grow with the one-stop service. To this end, “hacobell”, a platform for forwarding services, was founded in 2015 parallel to the online print shop. Even if the printing industry in Japan achieves a turnover of 24 billion, Onlineprint lags at least five years behind the development in Europe, says Kozo Fukushima. The online print turnover is approximately € 750 million. In this country with 127 million inhabitants, there should still be plenty of potential. There is likely to be potential in the local advertising market, which to date has been a blank canvas in the e-commerce landscape. The market for promotional products in Germany alone is worth around 3.6 billion euros, in the D/A/CH segment over 4.5 billion euros and in Europe over 15.0 billion euros. One should assume, however, that there would have been a suitable platform on the Internet for this long ago. But this has not been the case so far. 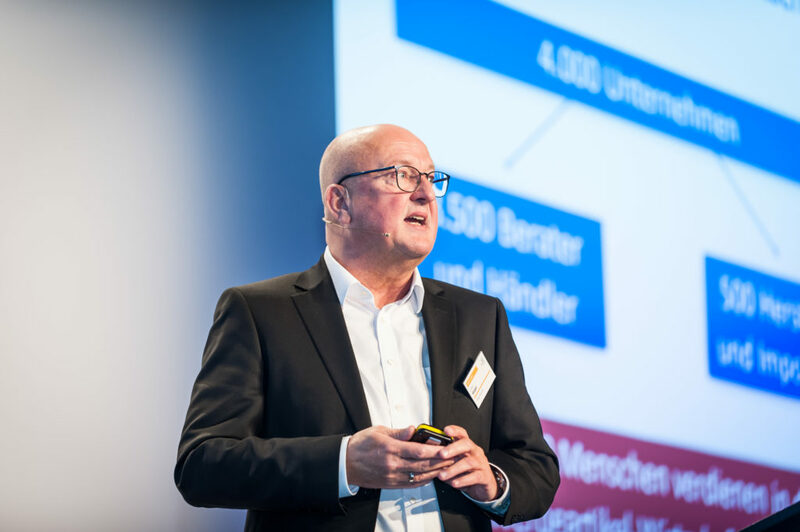 Jürgen Geiger, executive director of Geiger Notes AG and member of the board of the Gesamtverband der Werbeartikelwirtschaft (GWW), saw the opportunity to close this gap by setting up a suitable marketplace and to link the traditionally offline market with online business models. Finally, in the advertising novelty economy of Germany 3,500 advisors and dealers as well as 500 manufacturers and importers are on the way. The promotional products marketplace “mypromo”, which will go live in the second quarter of 2019, will now connect customers, retailers and manufacturers and lift the players in the market from the analogue to the digital world without replacing their business models. The exciting thing about “mypromo” is that a digital network is spanned across the entire industry – with a platform that does not sell anything itself but makes white label shops available and offers curated promotional items and lifestyle pages with relevant content. How mypromo works: The customer generates his print data in the dealer shop – via upload or editor. The data is checked in real time, optimized and visually prepared in 3D so that the customer may directly approve the print. He fills the shopping basket and triggers his order with the retailer. This opens at mypromo and is immediately forwarded to the manufacturer together with the print data. Both partners import the generated commercial data into their own IT systems via interfaces. The manufacturer produces, delivers to the customer via drop shipping and invoices to the dealer. mypromo is merely the platform operator and does not appear optically or as a contractual partner at any point. “The contract suppliers place their articles in the system, mypromo takes over the templating for the print data: It should be simple for the user and achieve good results for the manufacturer. And all of this can be done in digital printing, offset, flexo, inkjet, screen printing, pad printing, embossing, engraving, etching, to name only the most important. And this happens on tens of different surfaces. A very unique challenge for every data engine,” explains Jürgen Geiger. But probably the biggest challenge in setting up mypromo for him was the legally compliant definition of the general terms and conditions, the contracts between trading partners and suppliers and the guidelines between those involved in the marketplace. 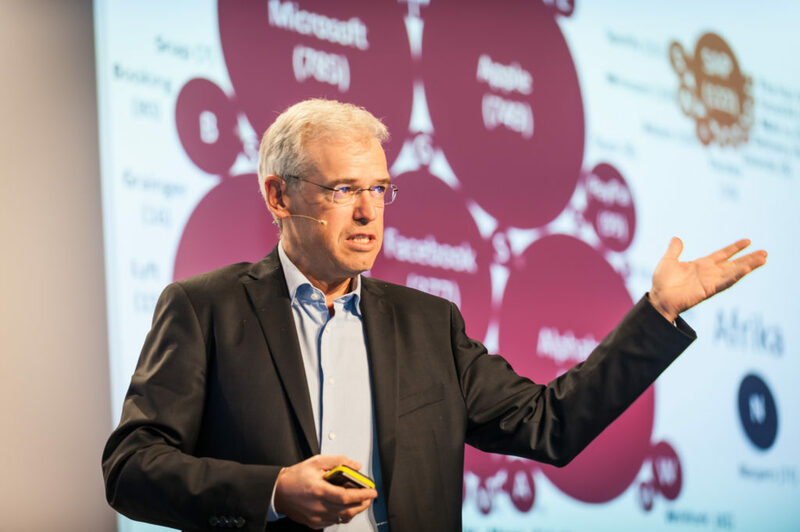 “For several years now, I have been driven by the conviction that an impulse, an entrepreneurial initiative, is needed to bring the urgently needed digitalization to our market,” explained Geiger. “One and a half years ago, I outlined the business model of mypromo.com for the first time and we immediately started to implement it”. With his presentation Jürgen Geiger showed not only exemplary strategic procedure, but also the dimensions, which are connected with the structure of the platform. One does not make such a platform simply so casually. 18 months of planning, realization and fine-tuning speak for themselves. 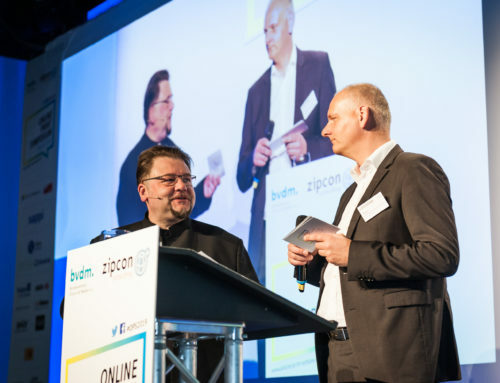 Interestingly enough, Eyal Ben-Zvi, CTO at BeeriPrint since 2018, and Haran Kislev, head of the online printing company PIX, also faced a similar situation in Israel as Jürgen Geiger did with the promotional products market. Israel has also been a blank slate on the map when it comes to online printing. “There is no online printing category on the Israeli Internet,” says Ben-Zvi. This is despite the fact that Israel’s e-commerce penetration of 95% is one of the highest in the world. But even BeeriPrint didn’t start from scratch; after all, the print shop has existed since 1950 – as a kibbutz in the municipality of Beeri. (For those who do not know: A kibbutz is a kind of rural community in Israel with common property and grassroots democratic structures.) The print shop employs 300 people and is the largest Dataprint printer in Israel. Mailings, data management, software development and print are all a part of BeeriPrint’s business. 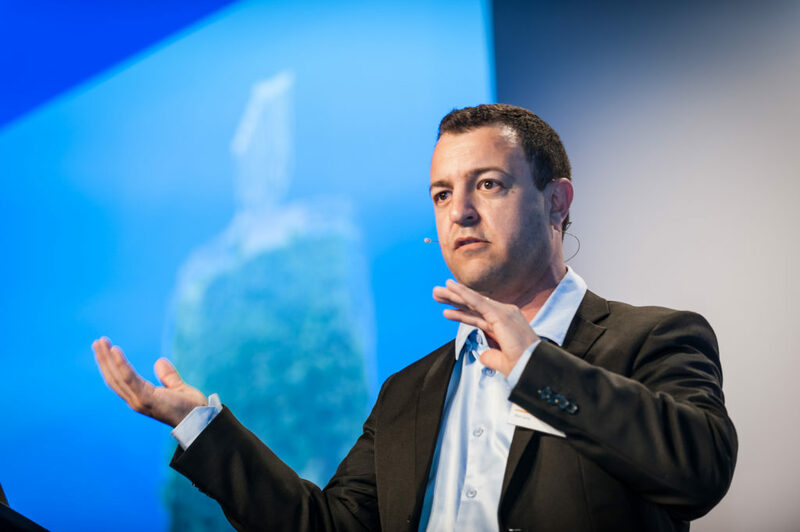 Furthermore, the name has become known in Israel as the first beta installation of a Landa machine due to the company’s entry into new markets such as packaging printing and online printing. But even with all the expertise in digitization, the Israeli company spent two and a half years developing the PIX platform before it went live. And what people in our part of the world tend to forget the most is that it was not only the Hebrew fonts that the PrintQ system from CloudLab had to represent. Eleven BeeriPrint employees finally got the project up and running with the support of zipcon consulting. But now it’s time for a new era. The online printing company PIX has already surpassed all other Israeli competitors and still has big plans. Growth potential for online printing obviously still exists everywhere. Provided you know the market and the customers, then you know what it offers – and what it doesn’t. Onur Durmuş, CEO of the Turkish online print start-up bidolubaski.com, takes an analytical and structured approach to its activities and today considers the online print provider, founded in 2014, to be a “bridge to the online printing industry in Turkey”. The Turkish print market today is predominantly offline – with online printing still in its infancy. With around 83 million inhabitants (similar in size to Germany), Turkey is not a small market, but its structures are completely different. On the one hand, the commercial print market in Turkey is only about 1.8 billion euros, on the other hand, the old print supply structures in the areas outside the metropolitan areas (Istanbul alone has about 18 million inhabitants) need to be rethought. bidolubaski.com itself does not operate any production facilities but has established business relationships with more than 100 suppliers and believes that with this “asset-light” business model it is financially strong and flexible for new ideas. In the meantime, the portal has become the largest player in the market with twice the volume of the next competitor and continues to grow tremendously. Onur Durmuş has a clear goal: bidolubaski.com should not only grow in Turkey, but also become a competitive supplier for European countries with a high Turkish population. RPI is actually an unknown quantity, a hidden champion. As a specialist supplier of print products, RPI has developed a service that enables its customers to offer personalized products under their own brand. A very unique concept, which Paul Adriaans, Executive Vice President RPI Europe, explained while concurrently outlining the culture of how the company works. “The personalization of products and services is a trend in the digital-analog reality. Changing customer behavior, rapid technological development and new business models must drive entrepreneurs to constantly rethink their strategies and adapt to new realities,” Adriaans said. Founded in Seattle in 1979, the company began producing personalized print products in 1999, six years after the introduction of digital printing as we know it today. As early as 2006, we produced exclusively for well-known e-commerce companies, and in 2011 we ventured into Europe. The trick, as Paul Adriaans puts it today, is to recognize permanent changes such as constantly changing consumer behavior with high expectations of personalization, to react to them with technological developments, to cope with high marketing costs (see Robert Keane) and not to underestimate the importance of social media. Only innovation can help. And according to Paul Adriaans, the formula for this is: innovation = idea + risk + drive. In concrete terms, RPI Europe in Eindhoven, the Netherlands, is all about batch size 1, flexibility in material and processing, as well as a holistic workflow, scalability and process control. He made this evident with the example of the machine configuration, which had to meet these requirements. According to the motto “Don’t be afraid to fail, rather fear not to have tried”, the construction of a highly automated production line was a full-blown risk – and hit the mark. Today, the company is a solid partner for personalized digital printing, is a white label service provider that delivers everything from one unique copy to thousands of copies, uses state-of-the-art software, has process expertise in global sales, and builds stable partnerships. This includes online printers such as Vistaprint and Helloprint, publishers and larger companies that have a high demand for printed matter. Obviously, our Dutch neighbors are particularly creative when it comes to choosing business models. When it comes to marketing print products via the Internet, there are a number of different ways of doing so, all of which have their own appeal and chances of success. There are order brokers or print marketers without their own production capacities (who then have RPI produce them, for example), as well as pure online printers who print most of their products themselves, and when it comes to addressing customers, a distinction is usually made between B2C and B2B shops. A completely different approach is taken by Probo, an online printer based in the Netherlands, which only supplies resellers with digitally printed products in large format printing. A niche supplier, if you will, but very successful. Founded in 2001 in Dokkum, North Holland, the company has been operating with an online presence since 2012 and has more than 3,000 active customers. This may not seem like much at first glance, but each of the resellers addressed by Probo can have a customer base of anywhere between four and five figures. The company has grown predominantly through well-established operations in the Benelux countries – with expansion into the UK and Germany, each with its own domain, being a logical consequence. In 2018, Probo generated a sales volume of over 40 million euros with around 330 employees and is one of the fastest-growing printers and market leaders in the Benelux countries. Therefore, the run of one copy in large format can prove worthwhile. In the Probo shop you will find over 200,000 print products in various sizes and on more than 250 materials, from asphalt stickers and photo prints to posters for outdoor advertising. Top sellers are large-format banners. 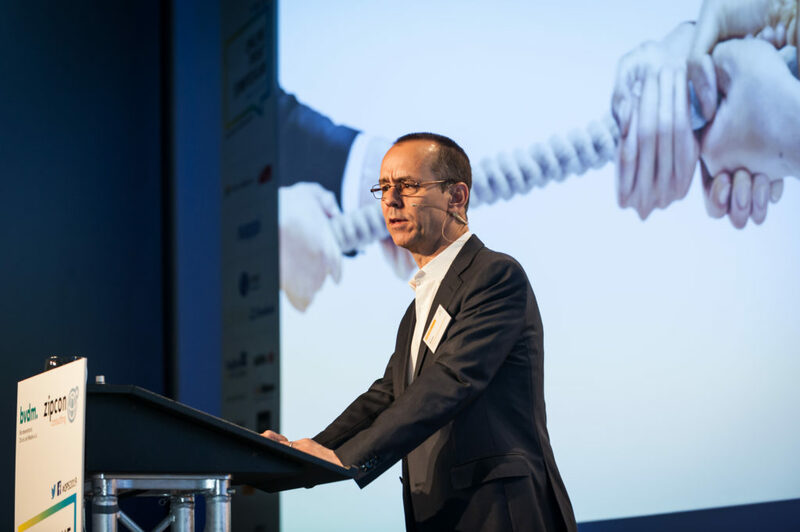 But this market is becoming less and less interesting due to the fall in prices, according to Probo CEO René de Heij. In 2001, a square meter of banner was still sold at 12 euros – today it is only 7 euros. “Nevertheless, many online providers rely on these products because they sell well. However, this exposes them to an enormous price war and makes them largely dependent on Google for marketing,” explained de Heij in his lecture. Instead of becoming the next Google addict, however, Probo prefers to be inspired by unusual ideas and implements its own concepts. Probo has now entered the label market and, as an LFP printer, is involved in the lucrative field of “digital textile printing” – not only with T-shirts etc., but also with bed linen, pillows and tablecloths. The “tried and tested” is obviously not enough. 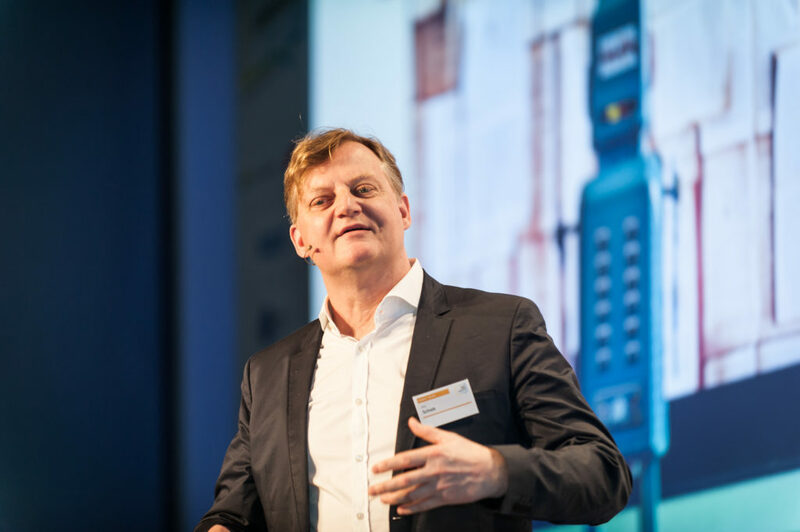 In his search for innovations, René de Heij has initiated a new business segment with “accusticpro”: This is a noise-absorbing textile interior made of recycled jeans. And de Heij has recognized large-format and personalized wall decorations as a new trend. Here, too, Probo combines e-commerce and fulfilment with its own production. And since shipping the large-format products via courier services is extremely cost-intensive and in some cases unreliable, Probo is currently setting up its own transport service in the Benelux countries and western Germany with “Onbezorgd”. “Think big, start small, act fast” is the motto here as well, concluded René de Heij. 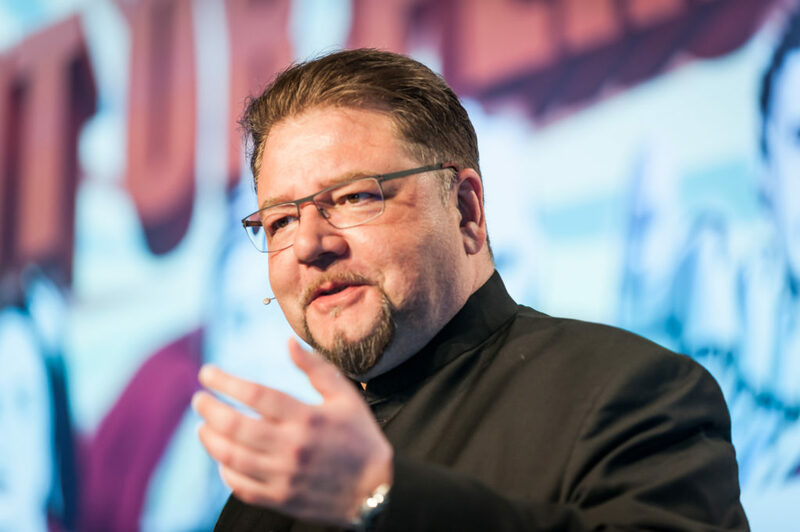 Sven Burkhard, CEO of Schmid Druck+Medien GmbH in Kaisheim, Bavaria, which has been part of the Elanders Group since 2015, has been quick to act these past two years. Though he has faced several challenges during this time. Mailings, packaging, special developments of sophisticated print products -this is the printing company’s profession. But how can a company largely dominated by analog machines and workflows be made fit for the processes and production chains of the future? How can you sell faster and more effectively? How can the company’s many special products also be sold online? Sven Burkhard deliberately chose a new path and took part in Sappi’s OctoBoost project to equip his company step by step for the future. In his presentation he explained the approach, advantages and disadvantages as well as the reasons why he took the step towards agile software development. “Print efficiency, powerful artificial intelligence to automate planning and a new type of MIS have brought us much closer to Print 4.0. All in all, it’s not yet a finished product, but we are very close to our wishes and ideas,” summarized Burkhard. 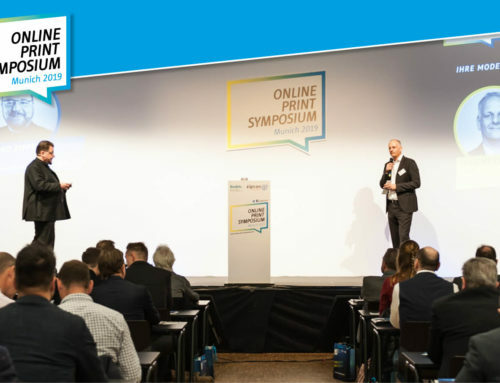 Over two days, this year’ Online Print Symposium had promised and kept its word to go once around the world of Onlineprint. 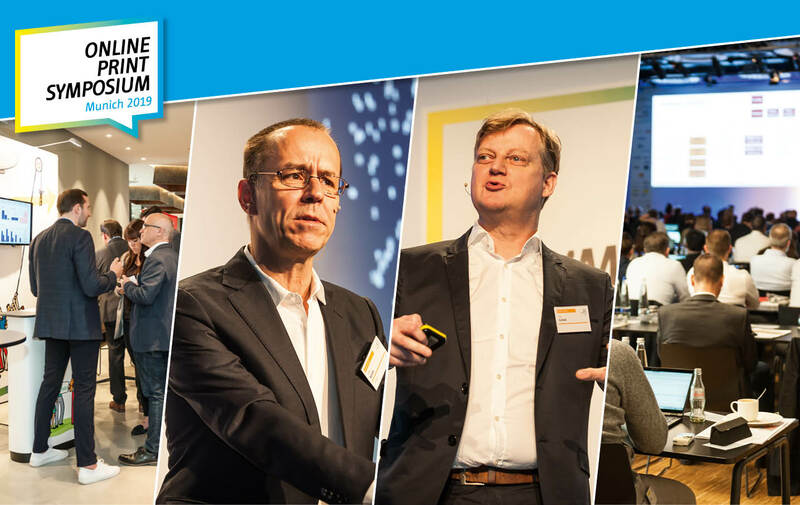 The 290 participants were offered exciting insights into international online printing and beyond. There was also fresh and youthful entertainment. 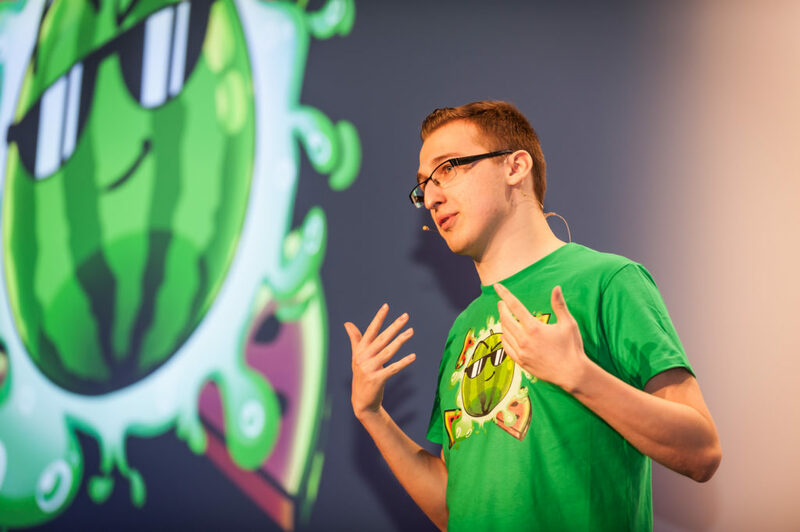 For example, the lecture by 20-year-old Austrian, Florian J., who has been operating a YouTube channel related to gaming for almost ten years and thus earns a substantial income. As Florian alias Chaosflo44 explained in his lecture, he and “an old friend of his father” have set up their own online merchandise shop, with print products, over the past three years, most of which they produce themselves. He offers autograph cards, T-shirts, caps, jackets, cuddly toys and so on. “And people buy that,” he said with a smile. After which moderator Jens Meyer asked him how old his father’s “old friend” was. “Oh yes, about 40 or 50”, Florian said, making the “elderly” audience laugh. The lecture by Jim Cunliffe, Managing Director at Face Media Group, was just as entertaining. In his own words, he has been conveying printed matter since the late 1990s: “It’s about buying and selling printed matter, understanding what the customer wants and understanding what the printing business needs. And this has to be implemented seamlessly.” This has turned his company into an “Add to cart”. “We buy from over 40 printing companies across Europe,” Cunliffe explained, illustrating his contribution with pictures and comments on what he thinks of Brexit and other political phenomena. The second day of the symposium, on the other hand, started off in a scientifically serious manner. The keynote speech dealt with platforms that have established themselves as superior business models in many digital markets. The ability to use the data gained to open up further competitive advantages and constantly penetrate new markets makes them powerful players. “In contrast to classical linear business models, platform models are based on interactions between demand and supply. 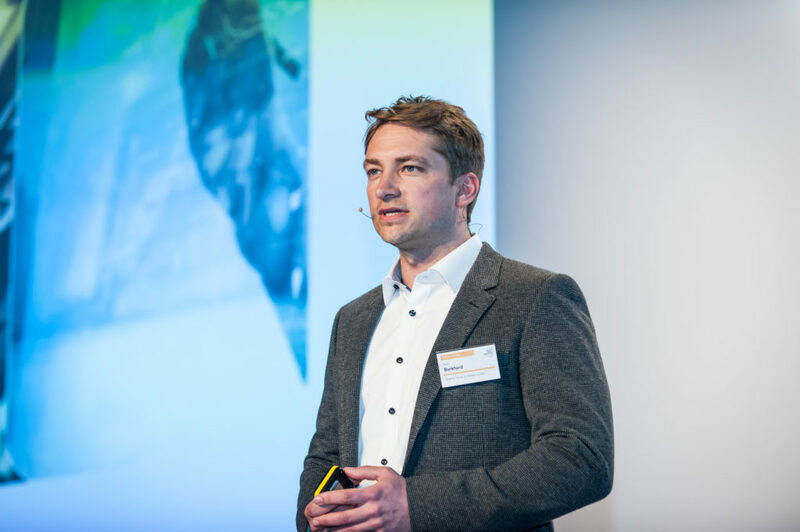 And although classical producers are still needed, a not to be underestimated part of the added value shifts from production to interaction,” explained Dr. Holger Schmidt, network economist at the TU Darmstadt. “Platforms draw their strength from interaction data”. Platform models changed the markets by establishing alliances in dynamic ecosystems and focus on transaction, innovation and interaction, according to Dr. Schmidt. It is often precisely these alliances that create the decisive competitive advantages of platforms over traditional providers, since they not only make life easier for customers, but also generate new value streams and network effects between providers. As a result, all partners in the ecosystem do more business than before and can leverage traditional providers. Using Amazon as an example, Dr. Schmidt explained why platforms are so successful. “Opening up to other online merchants who sell their products on the Amazon website has accelerated growth,” he explained. Those who have the vision of a comprehensive selection can only do so with the help of other retailers. The platform business model generates more revenue through more partners. More partners bring more customers, more choices lead to more interactions and more network effects, which in turn leads to a tendency towards exponential growth. According to Dr. Schmidt, there are four basic platform business models. Platforms with a focus on sharing resources, capacities and capabilities: Complementary partners from a previously analyzed ecosystem form an alliance to bundle and share complementary capacities or resources. Platforms with a focus on changing market mechanisms: The platform operator brings together partners with market power and good customer access. Bringing these alliance partners together expands market access and the number of indirect customers, triggering network effects and growth. Platforms focusing on product and service alliances: Ecosystem partners’ products complement each other. The platform operator enables the partners to combine their products specifically via the platforms and offer them to their customers. Platforms with a focus on data, AI, technology, software and the Internet of Things: The platform operator brings together different partners with a technology focus who use their complementary technologies/data to develop data-driven products from findings across the partners. Those who understand and use the mechanisms of the platform economy will not only be able to stand up to the big platforms but will also be equally successful in building their own models. 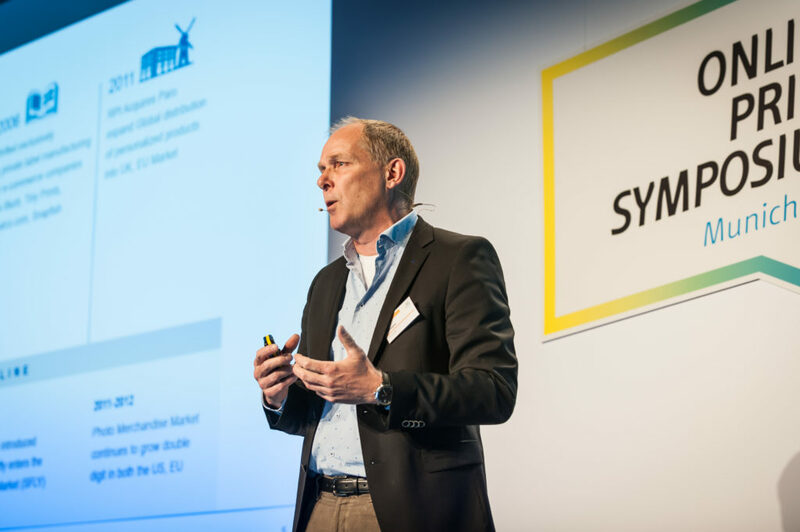 The size of the company is not even a prerequisite for success, according to Dr. Holger Schmidt – it is more important to develop your own market sectors with ideas and agile business models. How expensive will the future cost? After Dr. Schmidt’s presentation, everyone ought to have understood how platforms work. What they are doing, however, is not yet clear. Jörg Schieb, IT and online expert for WDR and digital expert for ARD, dealt with this issue. He is regarded as a solid analyst and has been an observer of the online industry since its inception. However, he not only questions existing systems such as Google, Amazon, Facebook and Co., but also thinks about the development of the Internet infrastructure and takes a critical look at the trends – especially with regard to the social consequences. “We must get away from this no-cost insanity,” demanded Schieb, presenting the symposium participants with various approaches in his exclusive pre-note and explaining his vision of the “Internet of the Future” and its infrastructure. This is because the formula “Everything is free – therefore I get your data” is becoming increasingly problematic. “By now we should have understood that everything on the Internet seems to be free, but that we also give something away – and not just our data. We also give away our attention, life time, and sometimes our health as well. We are usually not even aware of it. But above all it is the personal data that is given,” explained Jörg Schieb. The worst thing is that nobody controls what ultimately happens with this data. And most people don’t seem to care. “We’ve already reached the end of privacy,” Schieb said. Although this is not desirable, it is a fact. But nobody seems to care about it. “If Marc Zuckerberg now demands better regulation on the Internet, that’s strategy,” said Schieb. He has not gone from Saul to Paul either, but has once again made a clever move, played for time and simply wishes to shift responsibility away from himself. “And we will continue to be exploited for a long time,” said Schieb. And he is not alone with his opinion. The inventor of the World Wide Web, Sir Tim Berners-Lee said publicly that he is ashamed, he is embarrassed by the Web in its present state. And another Internet pioneer, Jaron Lanier, has called for radical change. “There are two radically different principles of thought,” explained Jörg Schieb. ” First: Everything is free of charge without advertising and commerce – but then nothing really gets paid. Perhaps one could curate something for the public-legally, against a fee. Then no more data would have to be moved out and all services would serve the common good. That would be the socialist Internet”, says Schieb. “And then there is the capitalist Internet, in which everyone has to pay. No hidden costs and everyone receives money for his or her services – including the users for postings, photos, likes and retweets. Everything has a transparent price”. Both systems have advantages and disadvantages. The ideal would therefore be the best of both worlds, said Jörg Schieb: “No control by states. Because then there is the danger that the state will orient itself to its own interests. Complete transparency and control for users. Data has a value and not only corporate entities profit. Intelligent regulation would also have to be established and issues such as data protection and privacy would have to be anchored by the UN”. There are already attempts to regain control. “Solid” is one such project. But just one project. ” However, we must act now. The big five will otherwise crush everything”, Jörg Schieb analyzed. Experience has shown that everything that is technically feasible is being done. And what could go wrong will go wrong. We are currently experiencing it. Regarding the Internet and social media: The web is now flooded with comments, tweets, likes and positive news. 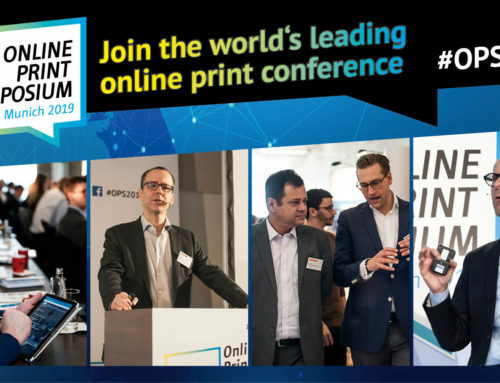 Impressions of the Online Print Symposium 2019 can be found under the hash tag #OPS2019 on Twitter, Instagram, Linkedin and Facebook. This shows that the organizers of the OPS have once again struck the right note with the choice of theme, the new location and the idea of partner sessions as elevator pitches. And the large proportion of foreign visitors is booming. There were 18 participants from Asia alone – this shows that the OPS is making its mark internationally. By the way, the great photos were taken by our photographer Nadja von Prümmer and will also be available on the OPS website soon. If you would like to remember the date for the Online Print Symposium next year: bookmark March 25 and 26, 2020 in your calendar. My take: Even though growth in online printing has slowed and reseller models are coming under increasing pressure, online printing is still alive. And how. This is proven by the success stories from all over the world. We are talking about gigantic growth rates here. Anyone who operates Onlineprint professionally, who has correctly understood and implemented e-commerce, will be able to actively shape his future in our latitudes and also earn a profit – today and in the future, because the future is written by the customers for whom the Onlineprint model still has its appeal. What was going on at OPS? A woman in diving gear, a man in an astronaut suit, another person dressed as a chemist - and all in an elevator! These were our partner sessions, an extremely successful form of a company‘s presentation performed in an interview style. Exceptionally original, really funny and entertaining. But in between the "advertising blocks", the 7th Online Print Symposium was a tough one.